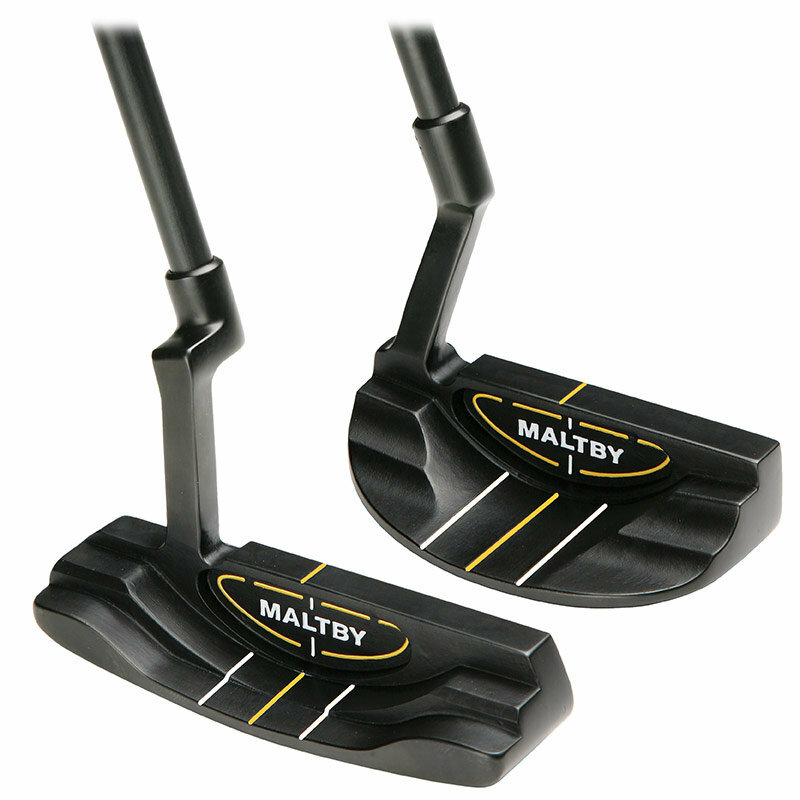 The Maltby Pure-Track Putters are definitely classic in shape and blade profile but offer much more than similar shaped traditional designs. The Pure-Track PT putters feature head weights allowing for modern, shorter playing lengths and the current trend to add heavier over-weight game improving putter grips. Another bonus of increased head weights is that the Moment of Inertia increases relative to the putters head weight. The CNC horizontal milling on the Pure-Track classic putters improves the consistency of the balls speed and backspin in all conditions for more consistent putting. Available in a true heel/toe weighted blade and a classic mallet version, both the Pure-Track Classic Putters are made from heat treated stainless steel for a durable, solid feeling putter.